Webinar: Sketch to Model - Detailing your model. 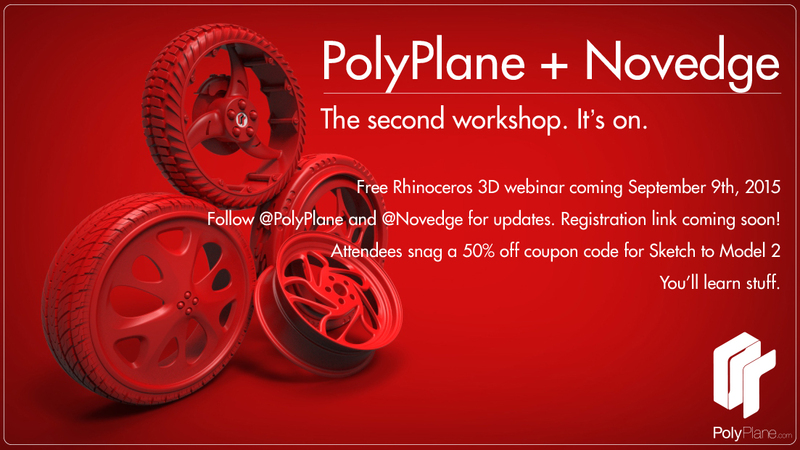 Authorized Rhino Dealer, Novedge, and Gabriel Matthews of PolyPlane are conducting this Sketch to Model webinar. Join Gabe for an abbreviated discussion on creating a model and then assessing and executing ways to add additional levels of detail that make the model more dynamic. Anyone that wants to append their education in Rhino or wants to learn some simple tricks and techniques for detailing out a component in a model. 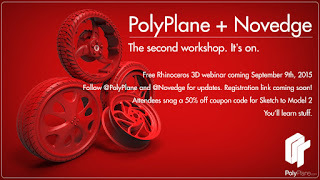 Students and professionals alike are encouraged to come by, learn something new, and stay to the end to get a coupon for a discount on Sketch to Model 2, the next premium video available for purchase on the PolyPlane site.